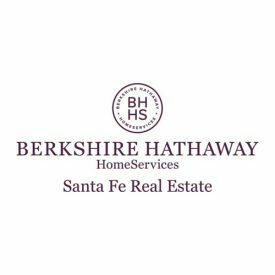 Combining knowledge, expertise, and years of experience, Berkshire Hathaway HomeServices Santa Fe Real Estate offers all of their clients a unique, specialized service. Guiding you through the real estate market is absolutely essential because of how competitive the market is; with highly qualified agents on your side, you can trust your needs will be met. © 2019 Berkshire Hathaway Services Santa Fe Real Estate. NM DRE # - An independently owned and operated franchisee of BHH Affiliates, LLC. Berkshire Hathaway HomeServices and the Berkshire Hathaway HomeServices symbol are registered service marks of HomeServices of America, Inc.® Information is deemed to be reliable, but is not guaranteed. This is not a solicitation if you are currently working with a real estate broker. Equal Housing Opportunity. All Rights Reserved. Real Estate Website Design by Home Junction, Inc.